The "titanium grey" version of the Samsung Galaxy S III 4G, coming to Optus and Telstra in the coming weeks. Samsung has today announced the impending arrival of a 4G-capable version of its flagship Galaxy S III smartphone, the Galaxy S III 4G. 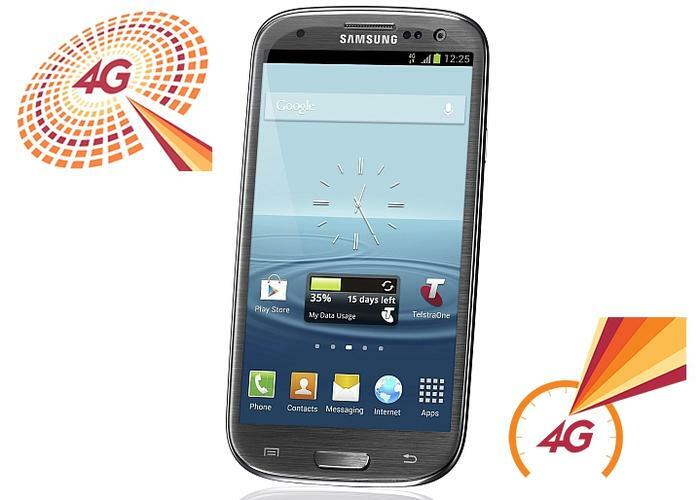 The Samsung Galaxy S III 4G will become the first smartphone to launch on the new Optus 4G network later this month and will then be available through Telstra sometime in October. The Galaxy S III 4G is virtually identical to the regular, 3G version with the exception of LTE 1800MHz network capability, which allows it to work on the Optus and Telstra 4G networks in Australia. It also has 2GB of RAM compared to the 1GB RAM in the regular 3G model. "The Australian market continues to demonstrate a diverse set of consumer needs and we are committed to responding to this with a wide portfolio of products, said Samsung Australia's vice president of telecommunications, Tyler McGee. "The addition of the 4G powered Galaxy S III is part of our ongoing commitment to leading the charge in technology innovation and choice." Telstra says the Galaxy S III 4G will go on sale sometime in October but hasn't announced any pricing details at this stage. 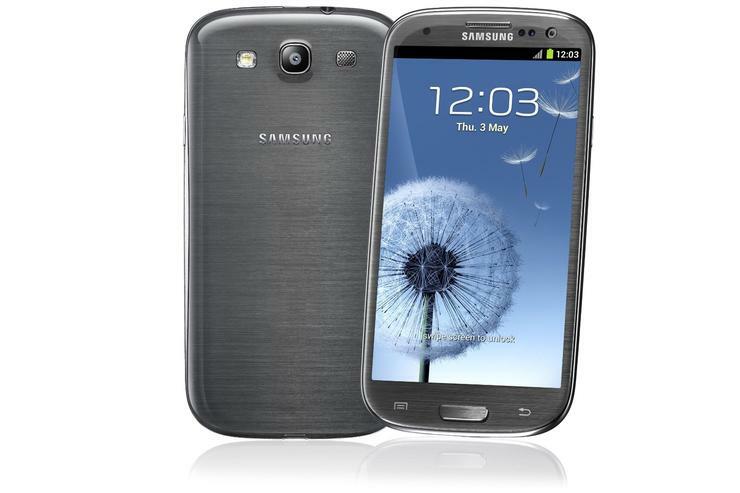 The Galaxy S III 4G will be available in new "onyx black" and "titanium gray" colours but is otherwise identical in size and weight to the 3G version and has the same sized 2100mAh battery. The Galaxy S III 4G will ship with the latest version of Google's Android operating system, 4.1 Jelly Bean. The release of the Galaxy S III 4G comes more than three months after the 3G version went on sale in Australia, at the end of May. At the time, Samsung was confident the lack of a 4G model would not hinder sales of the original version. Optus will sell the titanium grey model of the Samsung Galaxy S III 4G and promises customers who pre-order the device by Mon 17 September should receive the phone on Thursday 20 September. 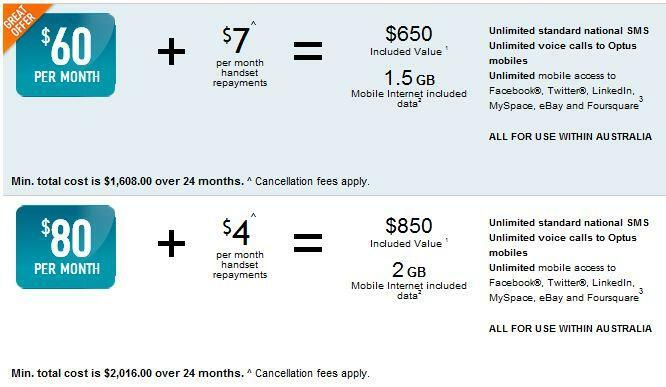 The Galaxy S III is available for $7 per month on the Optus $60 plan over 24 months, or $0 on the Optus $80 plan, also with a two year contract. The $60 and $80 Optus pricing plans for the Samsung Galaxy S III 4G. Telstra will carry both the grey and black variants of the Galaxy S III but has not yet announced pricing or specific availability details. The telco says the Galaxy S III 4G will go on sale sometime in October and has set up a pre-registration page on its Web site. The launch of the Samsung Galaxy S III 4G comes as Australia's two largest telcos ramp up their 4G offerings. Optus today launched its 4G network in Sydney, Perth and Newcastle with 4G services in Melbourne starting from September 15. Last week, Telstra announced that it is currently expanding its 4G mobile network coverage, promising to cover 66 per cent of the Australian population by mid-2013.